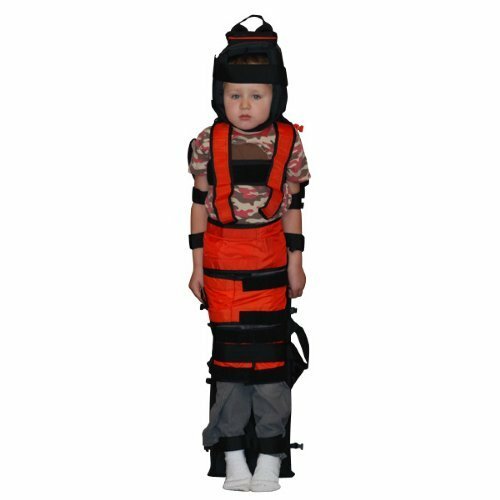 For immobilization of children up to 75 lbs. The narrow shape design helps prevent lateral spine movement. Adjustable, padded, full-head harness with ear holes accommodates differing head sizes. Over-the-shoulder harness system with hook and loop closure allows airway management and x-ray procedures. Split leg strapping allows legs to be treated separately. Cordura covering is easy to clean and disinfect. 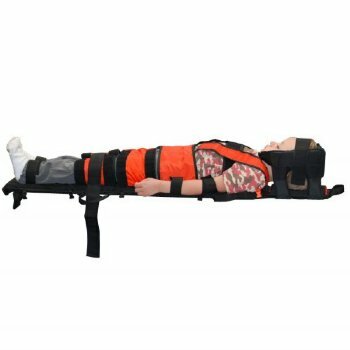 Optional carrying case for the pediatric immobilization board TR-4001.